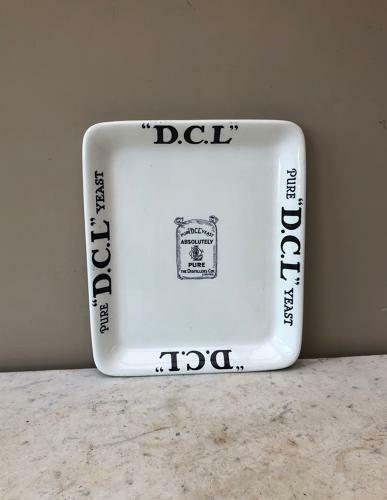 Edwardian White Ironstone Shops Advertising Display Plate for DCL YEAST. Lovely clean condition...great to serve cheese or similar on and display when not being used. When you turn it over there are some ancient nibbles to two of the corners NOT visible when the right way up. See the photographs, the last four photographs show the top and the corresponding underside.